In the opening round of the 2019 Valspar Championship, Adam Hadwin chips in from just off the green to make eagle at the par-5 11th hole. In the third round of the 2019 Desert Classic, Adam Hadwin sinks a 15-footer for birdie at the Nicklaus Tournament Course par-5 11th hole. 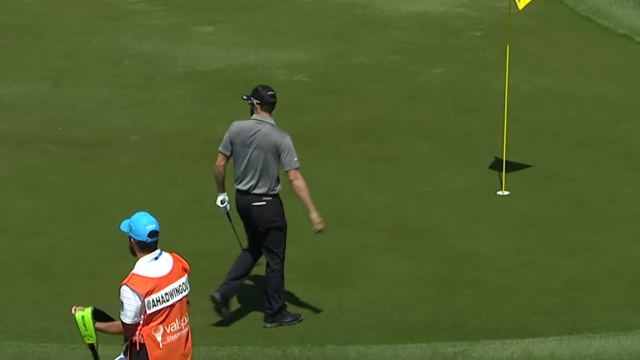 In the opening round of the 2019 Desert Classic, Adam Hadwin holes out from 60 yards to make eagle at the par-5 16th hole on the Stadium Course. In the third round of the 2018 Mayakoba Golf Classic, Adam Hadwin sinks a 25-foot putt for birdie at the par-4 14th hole.